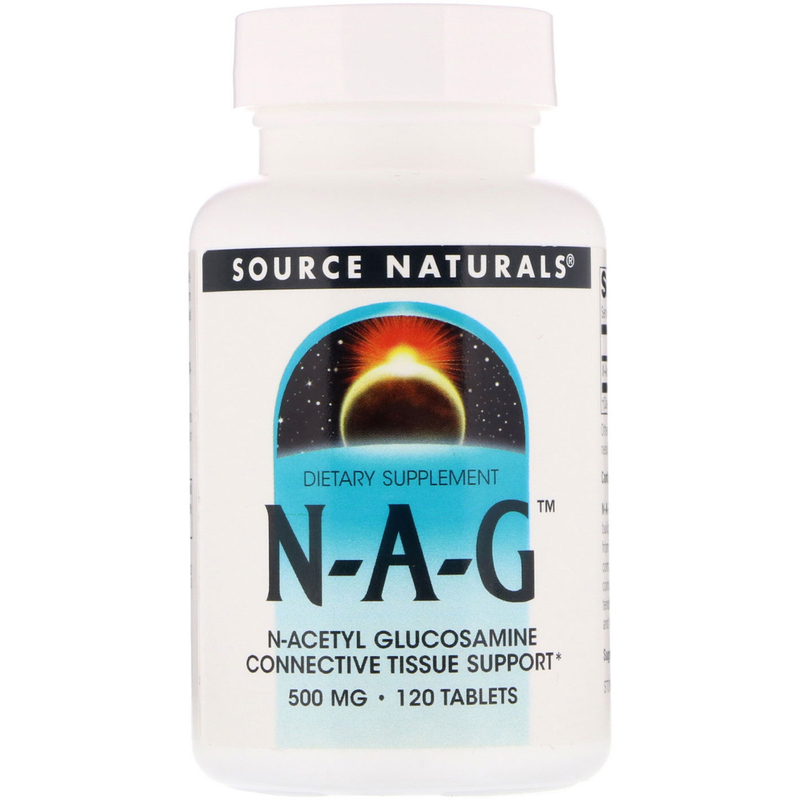 N-A-G, N-acetyl glucosamine, is an amino sugar (the building blocks of mucopolysaccharides). 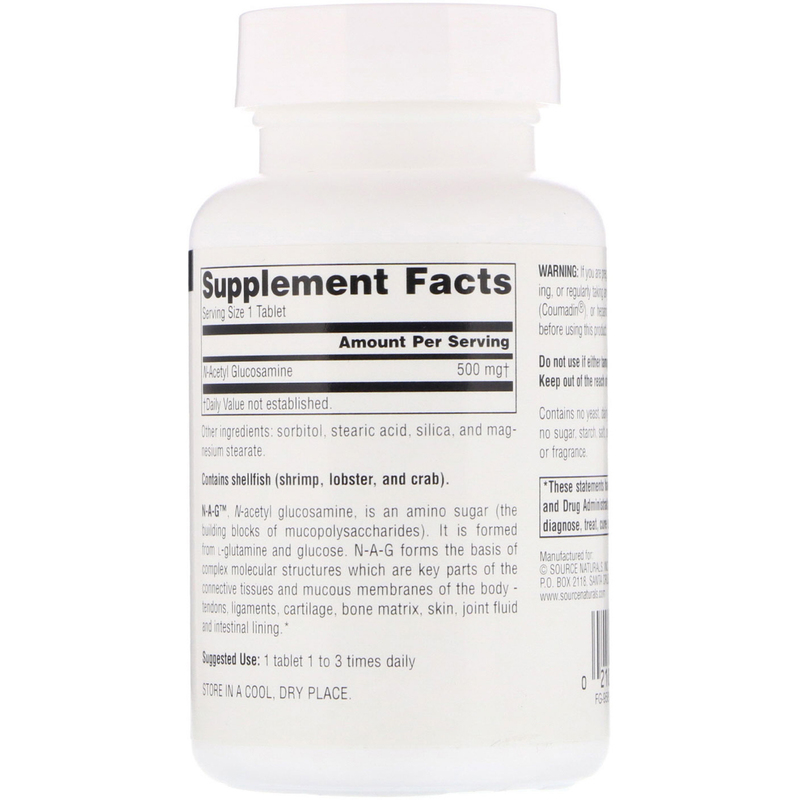 It is formed from L-glutamine and glucose. N-A-G forms the basis of complex molecular structures which are key parts of the connective tissues and mucous membranes of the body - tendons, ligaments, cartilage, bone matrix, skin, joint fluid and intestinal lining. 1 tablet 1 to 3 times daily. Sorbitol, stearic acid, silica, and magnesium stearate. Contains shellfish (shrimp, lobster, and crab). If you are pregnant, may become pregnant, breastfeeding, or regularly taking any drug such as acetaminophen, warfarin (Coumadin), or heparin, consult your health care professional before using this product.